Find ing an individual who’ll guide you all the way to success can be among the biggest decisions of your life. A mentor is a person whom you can look up to, somebody who’s been in the same place as you are today & knows how to find his way right to the top. A good mentor could be a person who is successful in his industry & is ready to share his experience with others. A mentor could also be a person who has experienced high and low days and wants to share his strength and knowledge to see others succeed. Since the goal of your mentor is to ensure your success, he is most likely going to tell you how they honestly feel on a given topic. When you’re with your family members or friends, they might tell you whatever things you would like to hear; however a mentor tells you the things that you actually need to hear. A mentor helps guide you towards the right path, suggests important contacts, courses, reading material, etc. Even though he may not contact individuals on your behalf, purchase reading materials for you, or register you for any course, he’ll show you the road map which will allow you to find your own route to success and growth. By learning from the mistakes which your teacher made while achieving success themselves, you’ll be able to avoid making similar ones, thus saving you valuable time and money. A mentor can bring the best out of you even if you do not necessarily identify with those qualities in yourself yet. After all, you want someone who is capable of bringing out the talent and story within you. Hearing your weak points can be one of the most difficult aspects of a mentoring relationship; yet, these same aspects can hold you back in your career and life. In business one of the common weak points people work to overcome, is lack of experience or credibility. You can often collaborate with an expert in your industry to help build your brand. All of us have days or times when we feel like things are not going the way they should. A mentor has an ability to encourage you using a simple statement which affirms that you are on the right path even if things don’t appear to be going well enough. A mentor has the ability to assure you everything is going well since he’s been there previously. Every one of us is gifted with numerous skills which we might not even be in tune with yet. A mentor can assist you in exploring what those skills may be as well as show you how to make the best use of those in order to accomplish your goals. Identifying these hidden skills might even transform your life and business objectives. 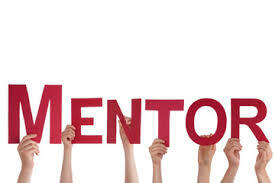 Mentors play a huge role in offering the knowledge, advice, inspiration, and assistance which we need from time to time. The fact is, you must have a mentor for every aspect of your life including business. Who has been your greatest business mentor? What areas of marketing are you looking for mentorship? Get your free Power Bio Training here. To book a complimentary strategy session with Shannon Click Here.